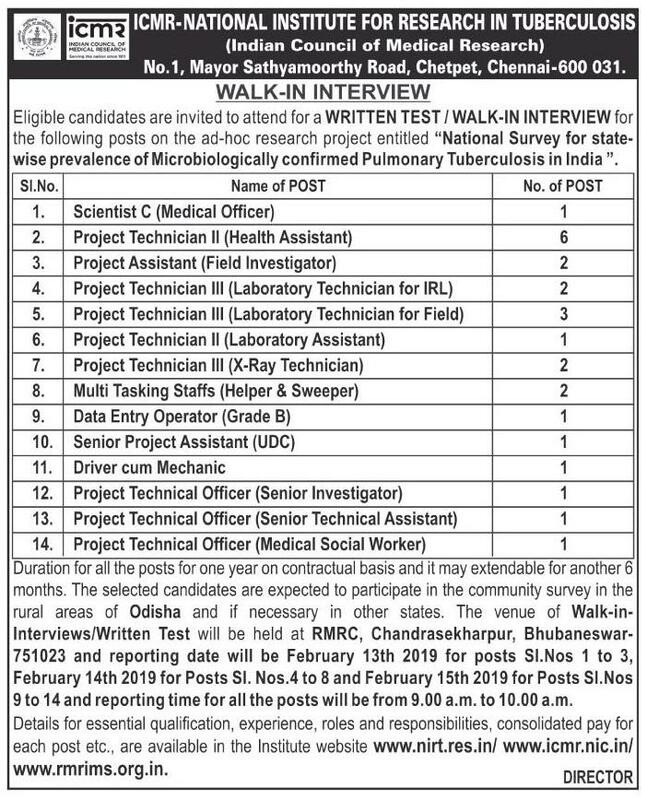 ICMR Bhubaneswar Recruitment 2019 For DEO, MTS & Technician Post. 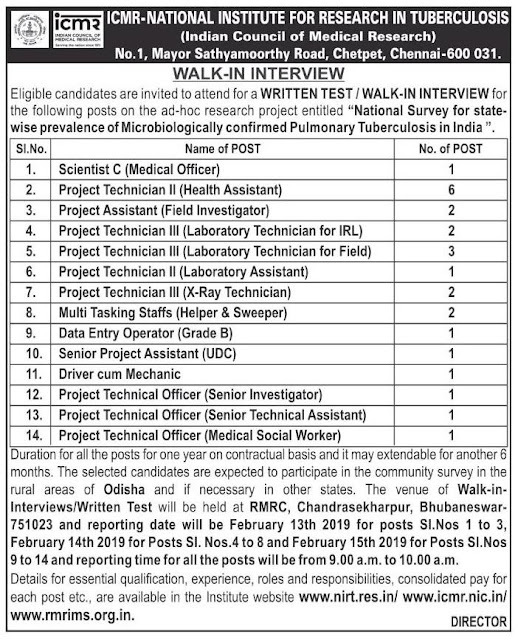 ICMR (Indian Council of Medical Research) Recruitment 2019 For DEO, MTS & Technician Post. No of Vacancy- 25 Posts.